That’s a question I’ve asked myself for years. My personal “web platform” has evolved over the last eight years. I’ve often wondered how long it would take to build it from scratch, with all that I’ve learned along the way. To be able to do it in a week would really open the doors for many people who find themselves strapped for time. The latestl business wisdom says we should build our own personal brand and create a platform around it. We should have a central website or blog and then build social media outposts to drive traffic to our site. Then we need to create quality content and update it frequently. This content should run the gamut, from blog posts to in-depth articles and let’s not forget video. To finish it off, we need to create a product that we can sell at a profit. Sounds pretty overwhelming doesn’t it. If someone was on a one week vacation, could they build a successful web platform in 40 hours or less? If so, how much traffic would it generate, how much would it cost, and could it generate a profit? This would get us started. The hard part would be deciding on a niche, the business name, and writing the in-depth articles. However, the most important part would be coming up with a profitable product that would make our time and effort worthwhile. So, as an experiment, I propose to create a new platform over the next few weeks, and time each step, along with creating a basic step-by-step guide for anyone wishing to follow along. If you have ever wanted to get started on your platform, I’m going to break this down into simple steps that anyone can do. The goal is to keep the total expense under a hundred dollars, and to actually get some traction with the results. First Post: Deciding on a niche. 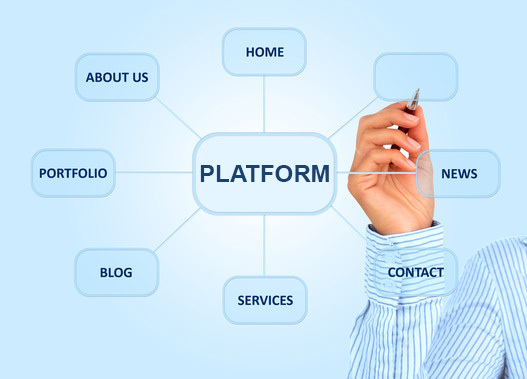 Wondering what a platform is? Michael Hyatt’s book is a great primer. Question: Have you had success building a platform? If so, how long did it take to put it all together?